How to make a washing machine … a washing machine? 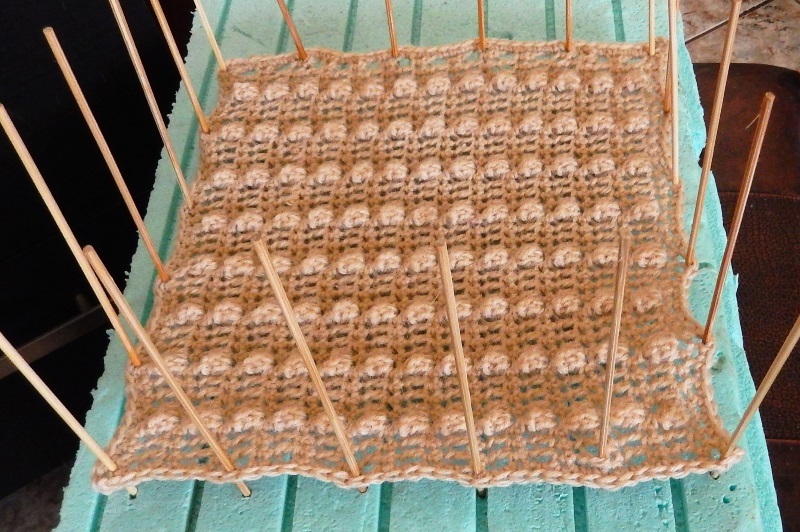 For a long time I wanted to crochet a washing machine. Not one that only consists of a stuffed cube, no, I wanted a drum and a door to it. 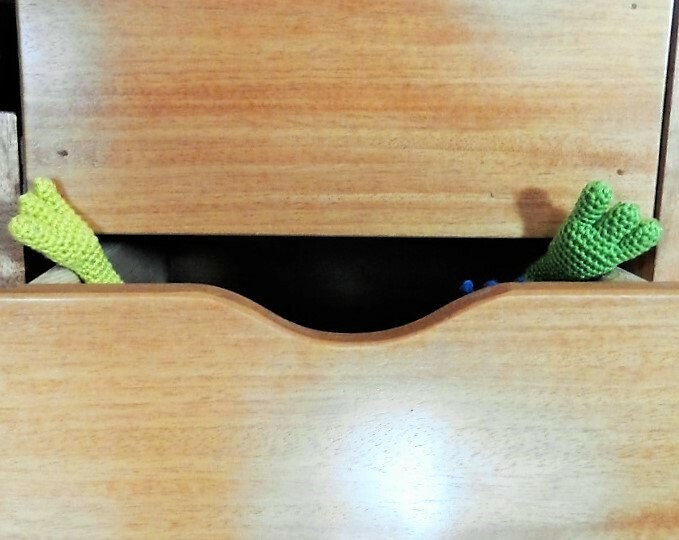 Since the washing machine, then can not be completely stuffed, I had to find a solution that the whole thing will be stable – and I wanted to make sure that everyone has the necessary materials at home. Continue reading How to make a washing machine … a washing machine? 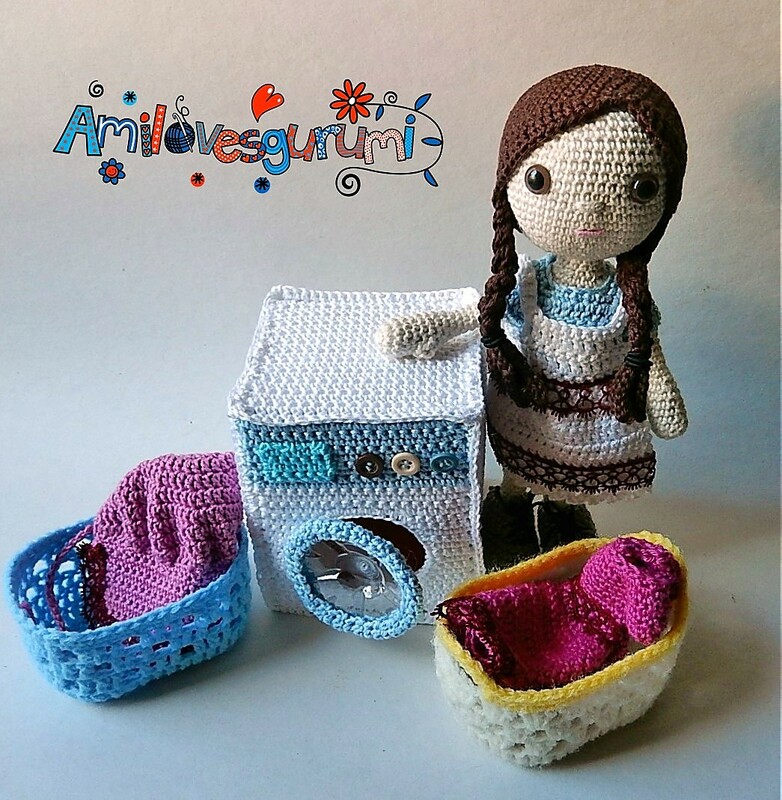 Posted on April 3, 2018 July 15, 2018 Categories SpecialsTags Amigurumi, amilovesgurumi, free crochet pattern, Washing machine2 Comments on How to make a washing machine … a washing machine? “I do not speak the language correctly and sometimes I can not translate the things I want to say, the translations of the instructions into Greek might contain mistakes, the speech in front of a group could become embarrassing, what if no one comes ” … and so on. 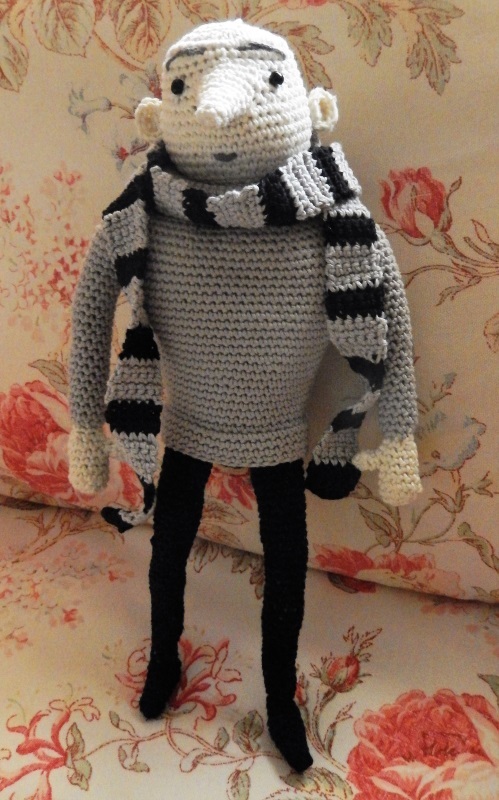 How to make wings for a doll? 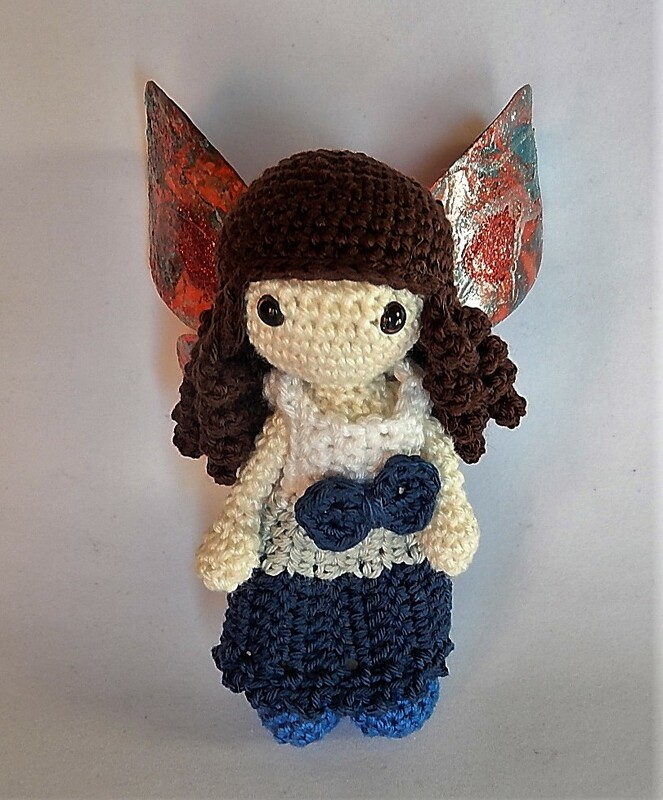 Of course you can crochet them, but you can also tinker the wings and you will have many different wings in a short time. You will need: A large plastic bottle (1.5 l) or a big disposable plastic cup, household scissors, nail scissors, adhesive tape. Needle and rubber band for the straps. Look over here, do you know who this is? 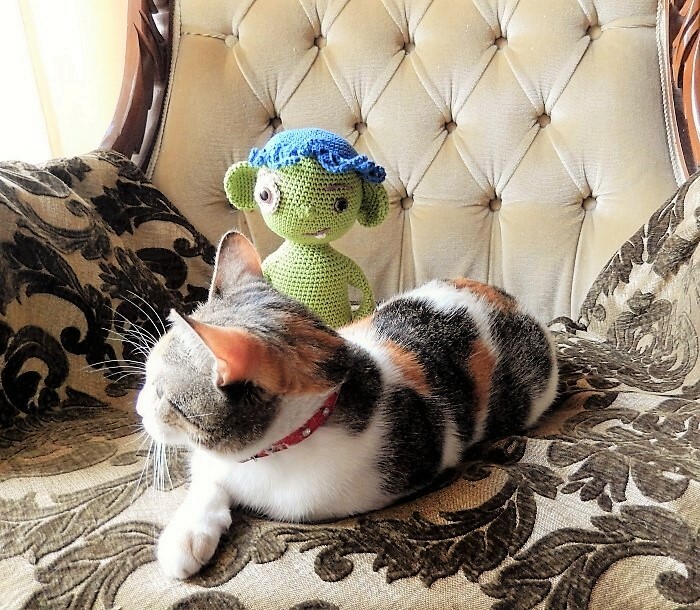 Some time ago I was looking for someone who wanted to start with me a joint project. 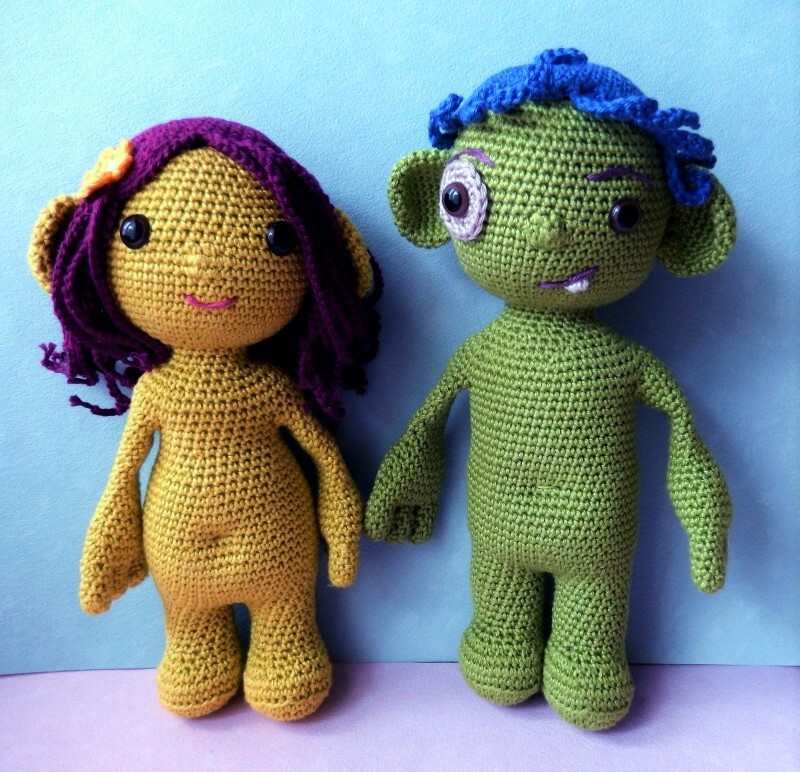 I wanted to crochet an Amigurumi and was looking for a talented story writer, who would love to write a children’s story for the doll. 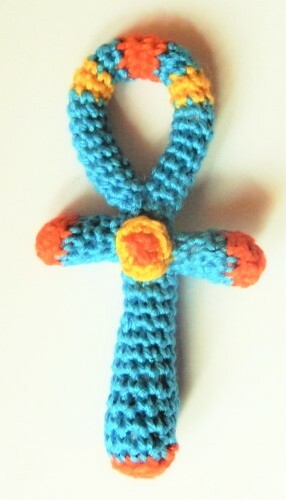 As a support for the coming year I crocheted a protection symbol: the Ankh. the oldest, symbolic religious cross. 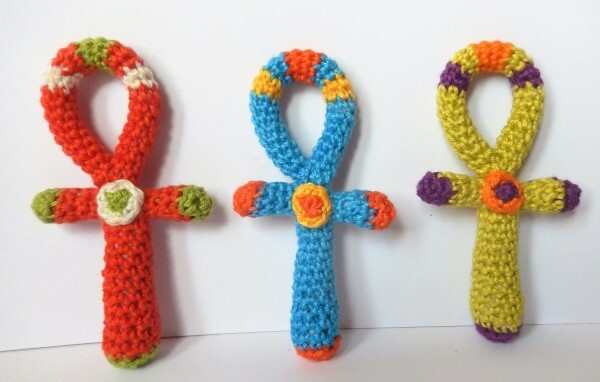 The ankh can be found at almost all the temples, murals and burial sites in Egypt and was already used around 2650 BC. 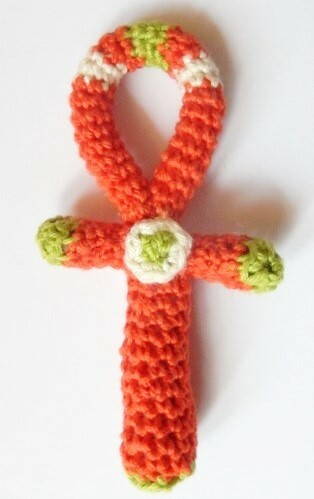 .… and I’m so happy that it contains two patterns from me. 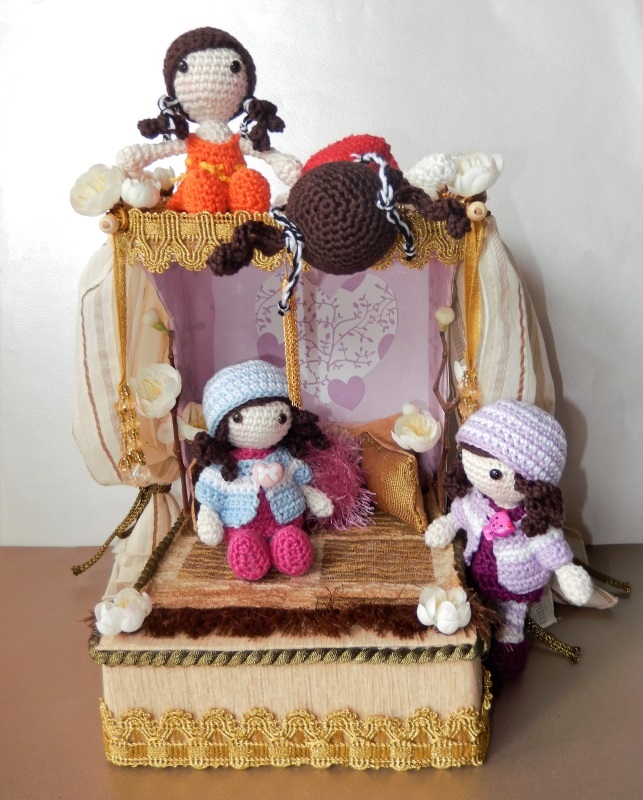 You will find 14 beautiful crochet patterns and it is full of great and sweet designs. 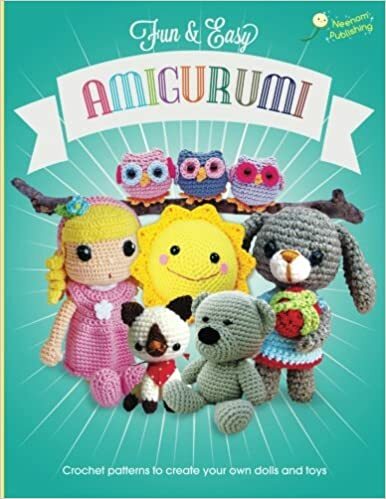 With this book you have a wide range of different Amigurumi – from easy to experienced, from super-sweet to playful.